Experiencing the sights, sounds, colours and lights of Diwali celebrations is high on our travel bucket list. One of the happiest holidays in India, Diwali is the Hindu 'Festival of Lights' that is celebrated over five days in Autumn every year. 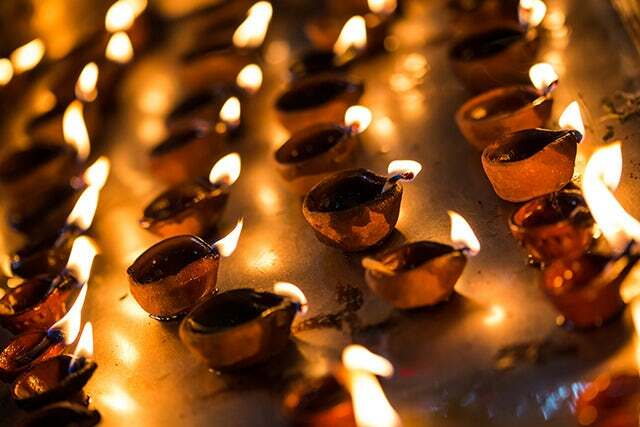 Diwali is derived from the word Deepavali, which means 'row of lights'. This ancient custom celebrates the triumph of good over evil, knowledge over ignorance, hope over despair and light over darkness. 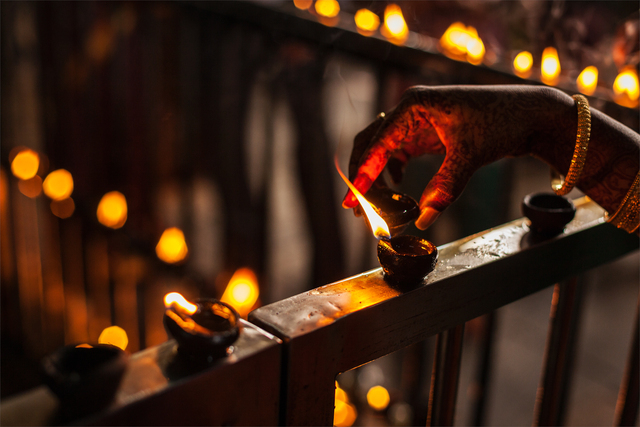 This is symbolised in the lighting of candles throughout Hindu homes. As with many aspect of Hinduism, observance of Diwali is varied, but it is one of the most important holidays of the year for Hindus and is celebrated by families together in their homes. 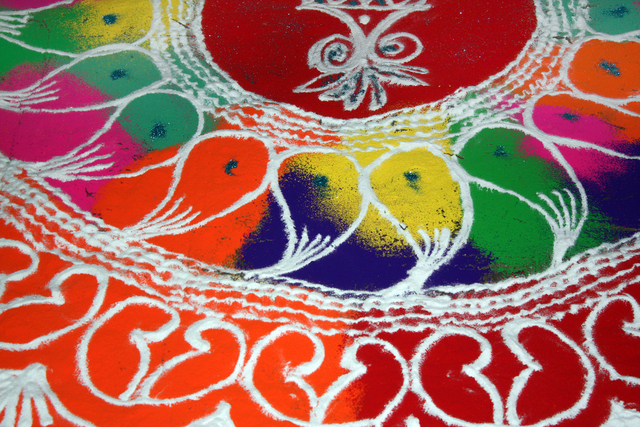 Millions of Hindus celebrate by hanging lanterns and candles around their homes and by creating colourful and intricate Rangoli patterns on their floors and entryways. These patterns are believed to be welcoming signs for the Goddess Lakshmi, who is believed to roam the Earth on Diwali night. Prayers are also offered to Lakshmi to bring wealth and prosperity to the household. Experiencing the sights, sounds, colours and lights of Diwali celebrations is high on our travel bucket list. If you're feeling inspired, you can catch celebrations taking place in the Hindu community worldwide, including India, Malaysia, Nepal, Singapore and Sri Lanka.